Your home is your haven. When you are at home, you expect that you and your family will be safe from any unauthorized intrusions. You can only achieve that if you have a reliable lock system in place. If you want to improve the security of your home, look no further than hiring Solid Lock Locksmiths to design the best lock system for your home. Residential break-ins can happen anywhere. Thieves look for the easiest opportunities to carry out their crime. They will look for homes with the least security and break in onto the premises. With conventional locks, it does not take long for a thief to gain entry. Nowadays, you need something more sophisticated to thwart any potential criminal activity in your premises. Solid Lock’s team of expert locksmiths can do a comprehensive review of your current lock system and make recommendations on how it can be improved. They will look at any possible point of entry, including all doors and windows. They know how important it is for you and your family to feel safe and secure in your very own home. They will design a security system that will fit your budget without compromising the quality of the system. The lock experts at Solid Lock are trained in the latest lock technologies available in the industry. You can be sure that the security solutions that they recommend is state-of-the-art, on the cutting edge of the security industry. Solid Lock has been offering residential lock and security services for the past 15 years. They have earned the trust and confidence of residents around the Melbourne area that they will provide the best in customer service, in terms of quality and knowledge. They have gained a reputation as being the best in the industry. You can be sure that when you use Solid Lock Locksmiths, you are getting the best expertise in residential security systems. Not only can Solid Lock improve the security of your home, but you can count on them for emergency lock services. What if you were locked out of your car or home one day, and there is no one around? You can call Solid Lock Locksmiths anytime, even in the middle of the night, and an expert locksmith will get to you and get you back inside. It does not matter where you are. If you are locked out of your car away from home, Solid Locks’ mobile emergency services can get there and get you back into your vehicle. If you have just purchased a home, one of the first things you should is to get all the locks replaced. Solid Lock can come out and do a thorough review, and get all of the locks replaced in no time. You will have peace of mind knowing for sure that no one but the people whom you have authorized have access to your house. What if you lost your key or your key is broken? No lock problem is too small for Solid Locks. Give them a call, and you can your key replaced in no time at all. If the locks at your home are old, do not risk the security of your family and household by keeping those old locks as is. A broken lock is not secure at all. Get them fixed or replaced by a professional locksmith from Solid Lock. If you have valuable possessions, Solid Lock can help you install an electronic safe that will protect your irreplaceable items. Why risk losing them to theft or damage? A safe is the perfect solution to protect them. The safety of you, your family and your property should not be compromised. 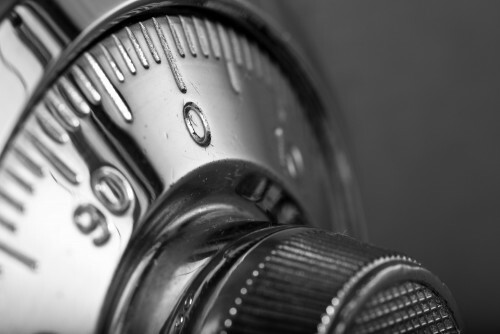 You can count on Solid Lock Locksmiths to provide you with the best security solution that will fit your budget.